Join us at River Source Family Center for Baby & Me. A group for first time parents and their babies. There will be topics and resources available each week, as well as time to connect with other new parents. Free books to all participants to build your baby's library! River Source Family Center's Parent Educators connect with parents and their new baby at the hospital. During the visit, we provide the new family with support, information, and referrals to community resources and services. This program is a collaboration between River Source Family Center and St. Joseph's Birthing Center. Monday mornings from 9:30 to 10:45 at River Source Family Center in Chippewa Falls. Each music and movement class is filled with laughter and fun! This class promotes language development and strengthens the parent-child bond through instruments, song, and dance! This is a free family event offered in a three-part series each spring and fall at River Source Family Center in Chippewa Falls. In addition, we offer Family Café events in greater Chippewa County during the summer. Please check the Parent Café page on our website for more information. 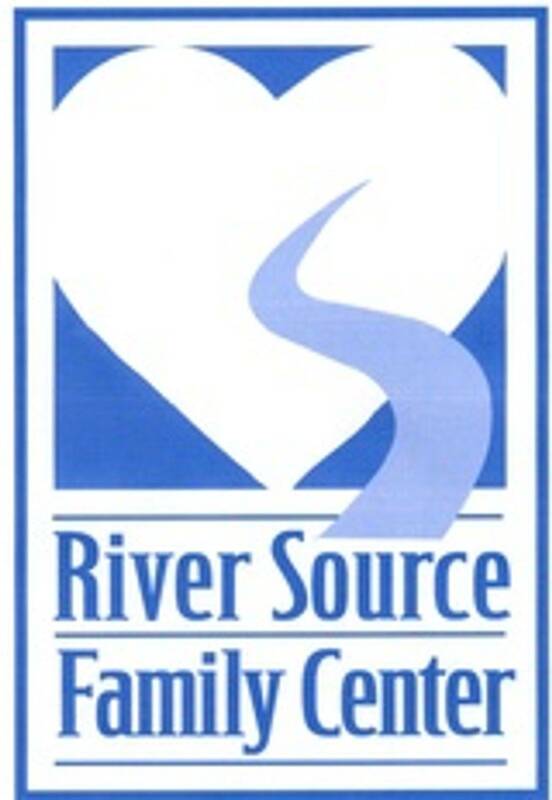 River Source Family Center is proud to offer opportunities for parents to strengthen their skills and knowledge base. We are a resilience-focused and strength-based agency and we believe that our community is stronger and healthier when families are at their best. Please check the Parent Education page on our website for current opportunities. Tuesday and Thursday mornings from 9:30 to 11:30 at River Source Family Center in Chippewa Falls. Come and spend quality time with your child during our Play & Learn Playgroup! This fun and playful setting encourages learning and development through unstructured, child-directed play, learning activities, snack and story-time. all Chippewa Falls based programing will be cancelled and no make-up day will be scheduled. district to be closed or delayed, the Parent & Child Playgroup will not be held and no make-up day will be scheduled. 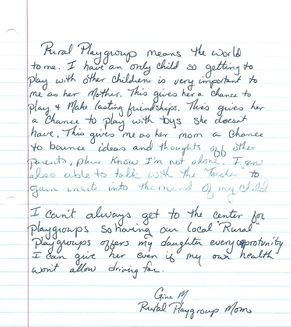 Bloomer Parent & Child Playgroup is held at the G.E. Bleskacek Family Memorial Library on the 2nd and 4th Wednesday mornings of each month, from 10:00 to 11:30. Cornell Parent & Child Playgroup is held at the Cornell First Presbyterian Church on the 2nd and 4th Tuesday mornings of each month, from 9:00 to 10:30. Stanley Parent & Child Playgroup is held at the D. R. Moon Memorial Library on the 2nd and 4th Monday of each month, 10:00 to 11:30. Traveling Tuesdays: Seasonal Field Trips!! Check our calendar and follow us on Facebook for dates and locations for this summer favorite!